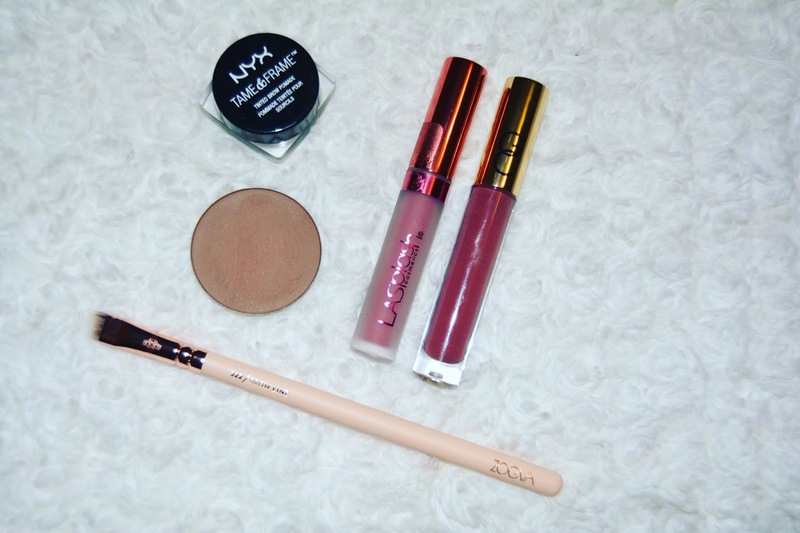 I like trying new beauty products every now and again. Some of which make it on to my blog and some just don't make the cut. 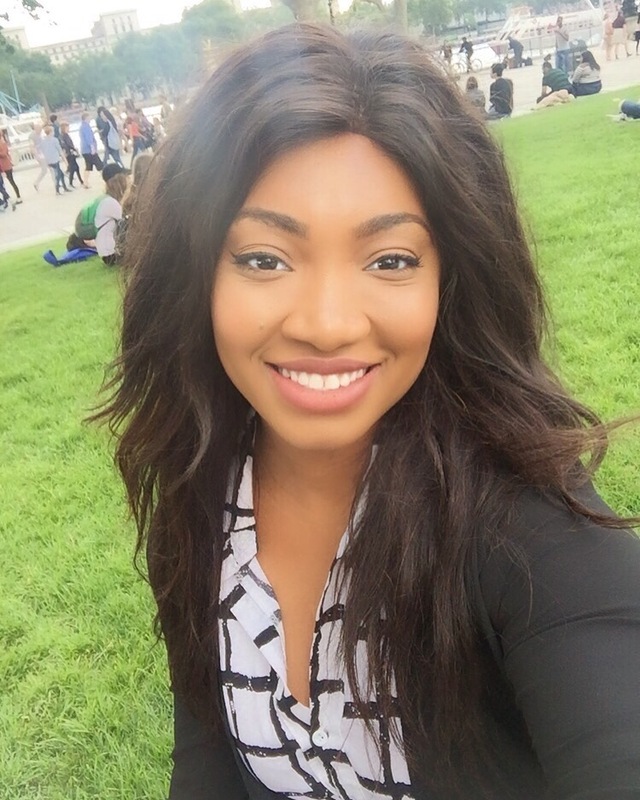 Today I will be sharing with you 5 Beauty Products that I am currently loving. Most of these products are drugstore and/or very affordable. The best part is that they are all available in the UK and international. Very easy to get your hands on. Some of these brands I've been using for years and some are new additions to my collection. So let's start! I have mentioned this brand so many times on here. My love for them is through the roof and this new buy proofs my point. Now I'm not a brow girl. My brows are nothing to admire or aim for. It's just never been my thing and I've never really been drawn to the Instagram brow trend. But I still wanted to up my brow game just a little bit. So I bought a new brow pomade and I thought it's worth getting a brow brush to go with it. So what better place to go to than Zoeva. 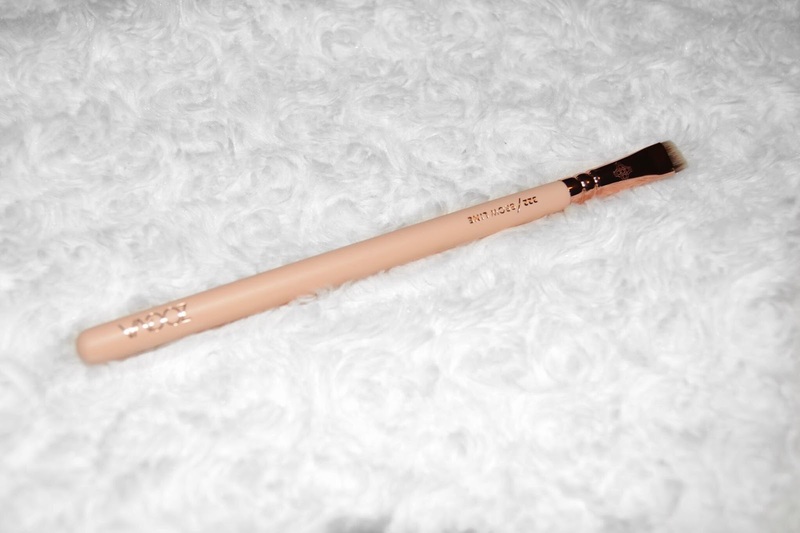 This is their 322 Brow Line Brush from their Rose Gold Collection and Oh My Gosh! I'm in love. I want to get the entire Rose Gold Collection. It's such a stunning colour and the brush itself does the job to the T. The bristles are very soft and sturdy, so you can get the perfect shape with every stroke. If you're looking for a brow brush or any brush in general, Zoeva is the place (and no this is not sponsored). You can buy it directly from the Zoeva website and pay £7.50 delivery or you can buy from BeautyBay and spend £50+ and get it delivered for FREE. This is my first time buying anything Gerard Cosmetic and after the bad press they had about a year or 2 ago, I was very reluctant to give them my service but I thought everyone makes mistakes (some bigger than others) and everyone deserves a second chance. So my first purchase from them obviously had to be a lip product. What else! I love my ultra matte liquid lipsticks. I die for them. I always prefer mattifying lip products to full on glossy ones but weirdly I've been loving the glossy look lately. I've been hunting for good lip glosses, which I usually do not do. So when I saw swatches of these on YouTube, I knew I had to have it. It's the lip crème in the shade 'Envy'. It super pigmented and has a beautiful shine to it. 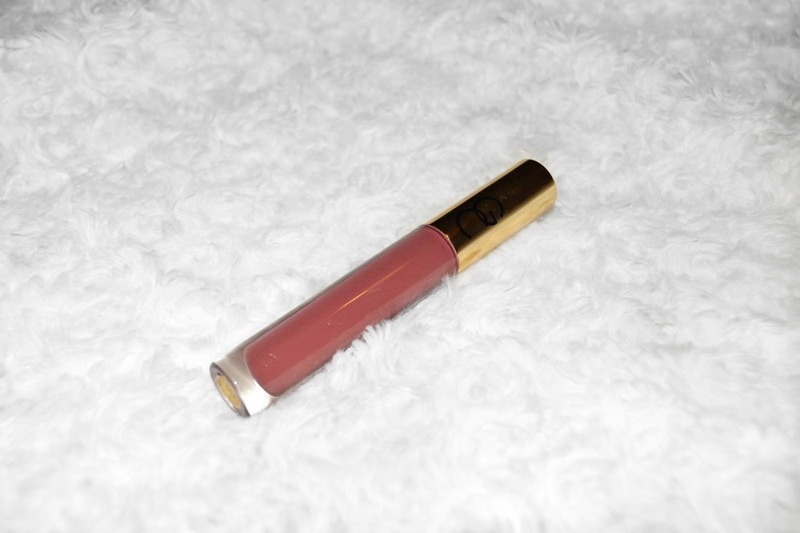 I'm in love with the beautiful, rich shade of mauve and I love the formula too. Not sticky, glides on smoothly with the do foot applicator and for a lip crème, the stay on power is amazing. I also love how it stains your lips so even after you eat/drink you still have a hint of colour on your lips. Another new addition to the collection is LA Splash. I have been eyeing this brand for about a year now. Been planning on getting one of their liquid lipsticks but never got round to it and after I tried it I wondered why the hell it took me so long. When they said good, quality products at affordable prices, they had this in mind. 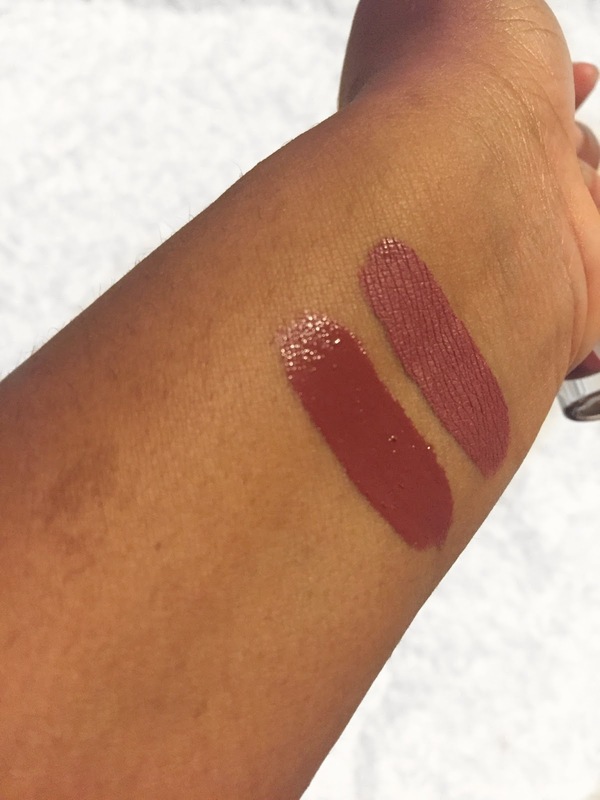 This is everything you would want in a liquid lipstick and more. If you are a liquid lipstick lover like myself, you will appreciate this. The texture, the colour, the pigmentation, the formula, everything about this product is a 10/10. It is super drying, to the extent that I need to scrub my lips to get them off. Eat or drink, this doesn't move! It stays on for hours. Doesn't crumble and it doesn't bleed. For a lipstick that is this drying, you'd expect your lips to feel a little bit uncomfortable right? Wrong! Granted they do not make your lips feel moisturising like the NYX Lip Lingerie but it's slightly better. You don't feel anything. Half of the time I didn't even notice that it was on. 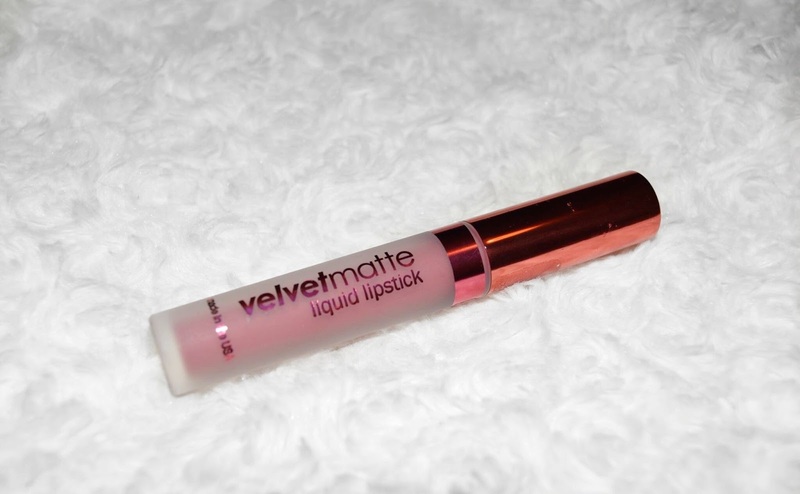 Definitely has to be the most comfortable liquid lipstick I have ever tried. Definitely going in my top 5. Oh and in case you're wondering, I'm raving about the LA Splash Forbidden Kiss Velvet Matte Liquid Lipstick in the shade 'Seductress'. I have a ton of makeup geek eyeshadows. From matte shades to foiled shades to Duo chrome shades. I love everything makeup geek. So when they released their Contour Powders I knew I had to get my hands on one. One thing I love about these contour powders is that Marlena made a colour to suit every skin tone, skin type and skin colour. And not only that, she did a whole video on how to help you figure out what your skin tone is and which contour shade best suits you. This is something you never get from any beauty brands. So thank you for that Marlena. It made the whole buying experience easy and straightforward. I will put both links below this post so go check it out. This powder is super pigmented, like crazy pigmented. You do not need to swirl your brush in the powder, you need to dip. I made the mistake of swirling and I had 100oz of powder on my cheeks. You just need to dip your brush in the powder and you have enough to go around half of your face. 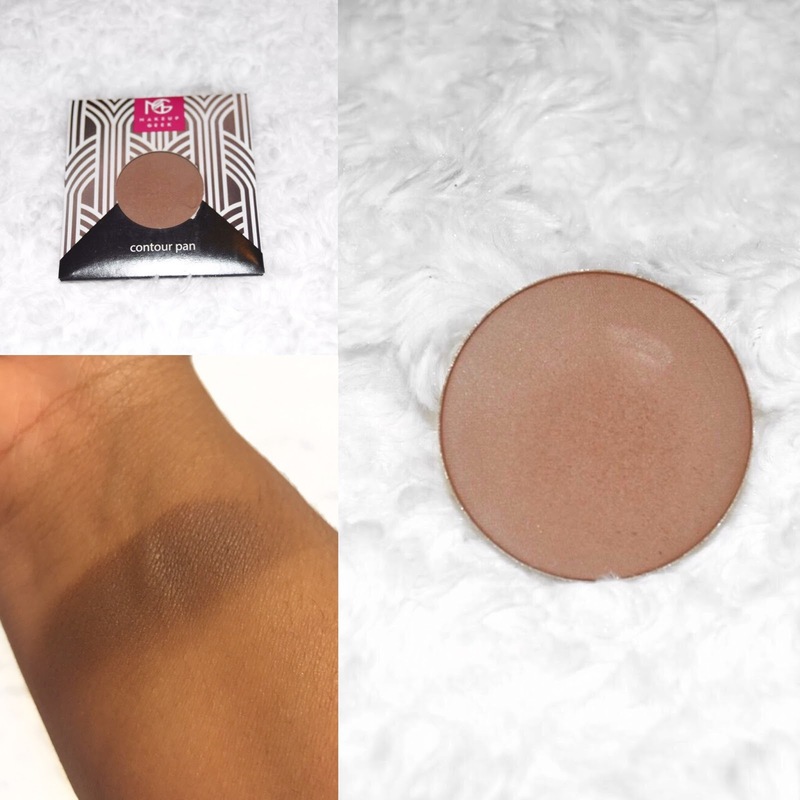 It glides on very smoothly and when swatched, it feels almost buttery. The colour matches my complexion perfectly. Doesn't make me look ashy like most contour powders do. There's only one con about this product, which I found disappointing. It is very hard to blend. My Gosh! It felt like a workout. You have to really get in there and blend or you'll end up with streaks of powder everywhere, which nobody wants. And this is why I am very adamant that you dip your brush into the product and gradually build it up. Makes it a little bit easier to work with. So this is the brow pomade that tempted me into getting a new eyebrow brush :P I already have a brow pencil that I use which works absolutely fine. I use the MUA Brow Pencil in the shade Brunette and I love it. The only downside to this is that because it is a pencil, it robes off very easily and I usually have the tendency of rubbing my eyes/eyebrows whenever I'm stressed or especially at work. So I always end up with half a brow by the end of the day. So I knew it was time to invest in something with a little bit of a hold. 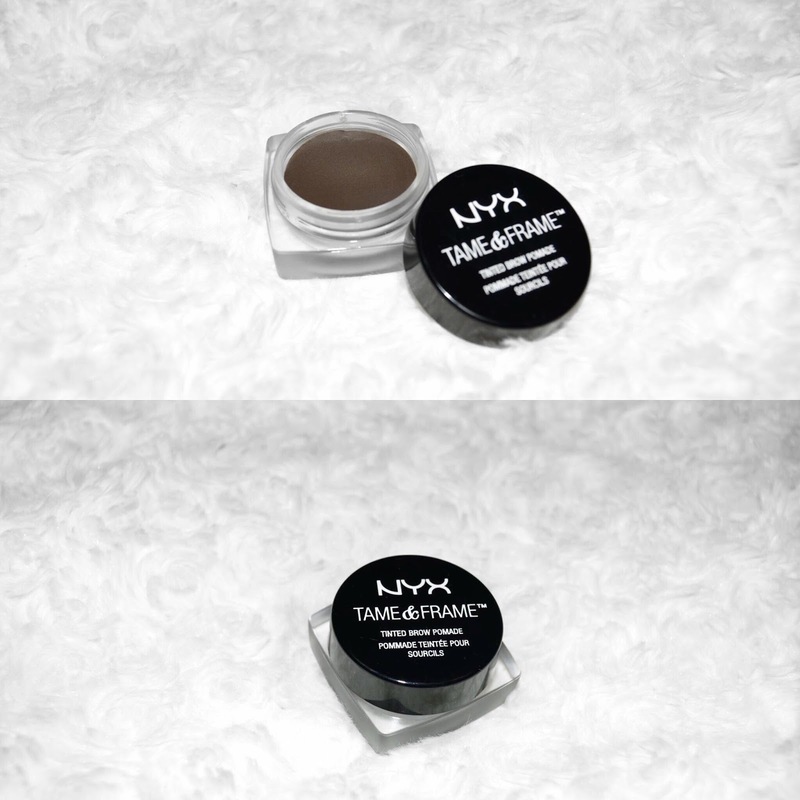 My original intention was to try the Anastasia Beverly Hills brow pomade but seeing as it's only available online, very hard to guess your shade and very expensive, I opted for the NYX brow pomade instead, which I had read great reviews about. I don't know if it works as good as the ABH but I do know that it's pretty darn amazing. It's not waterproof and it does move but it takes a lot of effort to do so. They stay on for ages and there's a wide range of colours to choose from. I'm in the shade Espresso and to put things into perspective, I wear a M.A.C Studio Fix Foundation in nc45. Are there any new products you've purchased recently that you love or do you have a Holy Grail product that you just can't live without? Share your secrets and comment down below. You can find me on most social media sites, come give me a follow or just stop by and say Hi. I'm on Facebook, twitter, instagram.